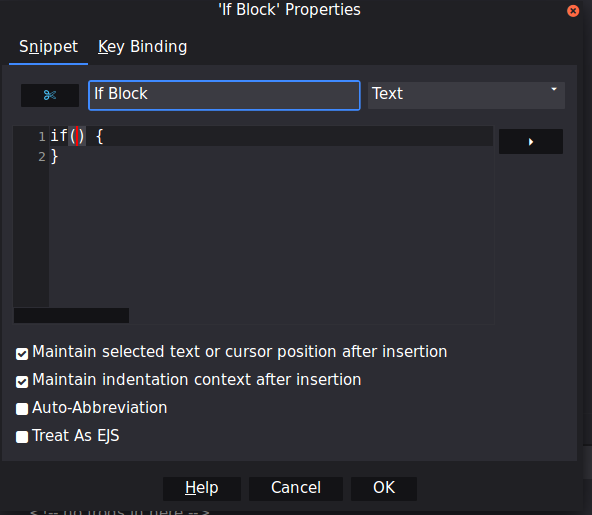 Create a snippet that contains the structure for a code object. In this example, a common usage of Perl’s if syntax is stored in a Toolbox snippet. If necessary, display the Toolbox sidebar (View > Tabs & Sidebars > Toolbox). 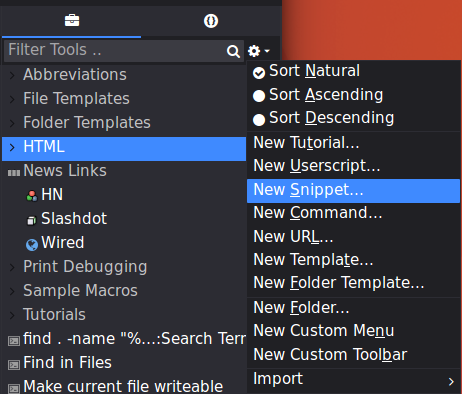 In the Toolbox menu, select Tools > New Snippet. Double-click the snippet to insert the contents at the cursor position in the Editor Pane.